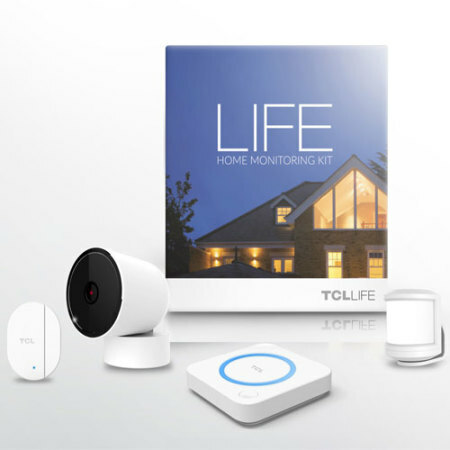 Introducing TLC Life Smart Home kit, which will transform your home into a 'smart home'. This will enable you to monitor, control and secure your home from anywhere using TCL LIFE mobile app, potentially saving you a lot of time and money in the long run. 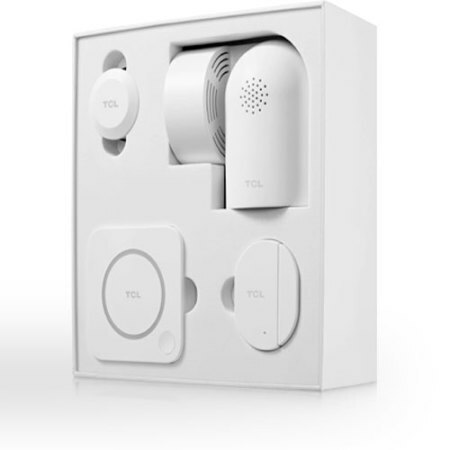 This TCL LIFE Home Monitoring kit is a great way to turn your home into a 'smart-enabled' paradise. Upon the installation, you will be able to remotely monitor, control and ensure the security of your home just by using your mobile phone. As part of the kit, you will receive a number of devices that including the LIFE CAM (IP camera), LIFE DETECT (motion sensor), LIFE SENSE (door and window sensor), LIFE CONNECT (main home hub). Keep an eye on your home and your belongings, even when you are away. This wide-angle IP camera can be accessed and controlled remotely via your phone (app required). Embedded microphone will also allow you to listed in on what is going on! This medium distance motion sensor is able to detect unexpected activity within the 8 metre range. 2 year battery life will ensure rare and hassle-free maintenance. Get notified anytime a window or a door is opened - eliminate the threats and improve the security of your home. This modern looking hub will connect to your home's Wi-Fi connection and pair with other LIFE devices, to ensure all devices can be reached remotely via your phone. 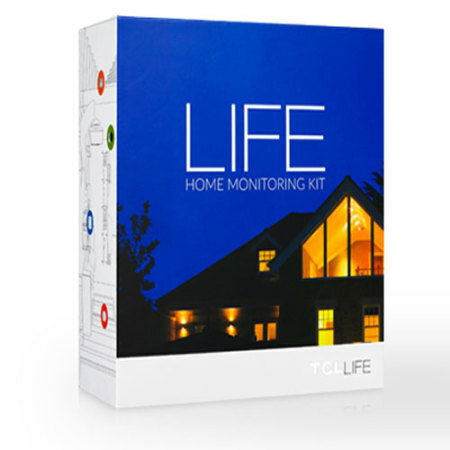 The efficiency and benefits of this TCL LIFE Home Monitoring kit can be expanded by purchasing additional TCL sensors. The LIFE CONNECT hub will allow you to pair and use these as part of your existing 'smart home' setup. We recommend purchasing addition window/door sensors (LIFE SENSE), which can be used as a burglary prevention measure. A beautiful and easy to use TCL LIFE app will act as your smart home interface - you will be able to personalize, operate and check the status on your TCL sensors and devices. The app works on both Apple and Android devices, and comes with easy set-up design making sure you are all up in running in no time. The app also allows the sensors to communicate with each other, so once a movement is detected in your house, LIFECAM can be automatically turned on giving you live video feedback and notifications on your phone. Furthermore the app lets you receive alerts and notifications and control all of your smart devices from anywhere, whether you're on holiday or working away from home. All the accessories in this TCL LIFE Home kit come in (Pearl) White color, meaning that it will blend in nicely with your current home design. The design also features rounded sides and modern shapes, giving the TCL Home that premium and futuristic look. Please note: Comes with UK style mains plug only.